How Can Joining HWA Help You? Whether you’re an aspiring writer working toward your all-important first pro-level sale or a seasoned novelist with a dozen books to your credit, HWA can help further your career through networking, mentoring, information trading, and promotional resources. If you’re a producer, publisher, editor, or agent, you’ll find our networking resources invaluable for finding dedicated, productive writers to add to your stable. If you’re a librarian or bookseller, you’ll have an inside track on talented writers, hot new books, and likely award winners. And if you’re a fan, you’ll have access to the writers you love and will get to be an important part of the oldest and largest organization dedicated to horror. Members can access our regularly updated lists of complete contact information for libraries, bookstores, and reviewers as well as HWA’s directory of members—nearly a thousand names and addresses of dedicated horror readers, writers, and industry professionals. Every year, HWA exhibits on the main floor of BookExpo America, the nation’s largest gathering of booksellers, librarians, and publishers. HWA members have the opportunity to promote their books at BookExpo by appearing at HWA’s booth and/or by supplying promotional materials that HWA will distribute at the event. Members can place free notices about new publications on our site and in our member’s only monthly newsletter and twice-monthly Internet Mailers. Each edition of HWA’s monthly HTML newsletter is packed with valuable horror publishing and market news, and includes a timely, comprehensive listing of horror, dark fantasy and related markets assembled exclusively for HWA by Kathryn Ptacek, editor and publisher of Gila Queen’s Guide to Markets. Between newsletters, members can access our online version of Kathryn’s horror market news in the Members Only area of HWA’s web site. Members also receive regular email bulletins offering market and industry news. The “Horror Writers Association Presents” anthology series is open only to members. Our most recent books, the three-volume Blood Lite anthologies edited by Kevin J. Anderson, have attained bestseller status and paid royalties to those HWA members who were contributors. Our non-fiction book On Writing Horror, edited by Mort Castle, has become an accepted standard guide for writing in the horror genre. We feel strongly that one of the best ways we can contribute to the health of the horror genre is by helping to educate beginning writers in the ins-and-outs of both the craft and the business of writing. Yet writing courses are expensive, never last long enough, and rarely deal with the practicalities of establishing a career in writing. For that reason, we’ve created the HWA Mentor Program. Participating professional horror writers are paired with Affiliate and Supporting members who wish to learn a little or a lot about everything from the craft of writing to the pitfalls of contract negotiations. 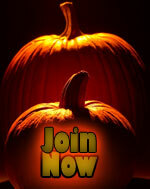 HWA helps writers find agents by providing comprehensive contact info for agents who specialize in horror. The Horror Writers Association is represented at numerous events throughout the year, including genre conventions, book festivals, trade gatherings and local literary events. Plus, HWA holds an annual business meeting and Bram Stoker Awards&#174 Banquet which includes plenty of opportunities to meet and get acquainted with fellow writers, editors, agents, and publishers. HWA’s award-winning web site is a well-known resource for Horror aficionados on the Internet. But members gain access to additional invaluable tools through the Members-Only area of the site. HWA also works to expand appreciation of the genre and literature in general by promoting education. We’ve donated memberships to writing workshops, and worked with universities to provide genre experts as guest lecturers. We’re always looking for ways to expand our educational outreach. In the past, HWA has worked with literacy programs to provide books and guest authors at various events. There are times when writers must pull together to solve mutual problems or come to each other’s aid. HWA can be a friend to turn to when things get rough. Here’s how we can help. For the mediation or settlement of complaints arising from generalized unfair or unethical behavior on the part of individuals or organizations with whom HWA members regularly do business. The writing life can be difficult. Established HWA members experiencing financial distress are eligible to apply for small safety net loans under this program. Sell one book-length manuscript (40,000 words or more) for payment in advances and/or royalties or earnings within two years of publication from self-published work of at least $200. Sell one book-length manuscript for a minimum payment in advances and/or royalties or earnings within two years of publication from self-published work of at least $2,000. Please note that sales may only be used to qualify for membership if payment has been received. All applicants must provide documentation of their qualifying sale or sales to complete the application process. Documentation must include scans of a contract, proof of payment, or similar items. Written confirmation from a publisher may be necessary where requested. Dues for individual Affiliate, Associate, Academic, and Active members are $75.00 per year; members joining at these levels receive one listing in the directory and one userID for access to HWA’s Members Only website. Dues for Supporting members are $55.00 per year. Supporting members receive one userID for limited access to HWA’s Members Only website. Corporate members receive one Directory entry (status is automatically “Associate”) and up to 10 userIDs for access to HWA’s Members Only website. All official street mail is sent to a single specified address. Dues for businesses are $130.00 per year. Family membership holders (up to three members of a family, whose status will vary according to their individual qualifications) each receive separate listings in the Directory and separate userIDs for access to the HWA Members Only website. All official street mail is sent to a single specified address. Dues for families are $95.00 per year.